Roberto Cavalli’s necklace is designed to look like a serpent. 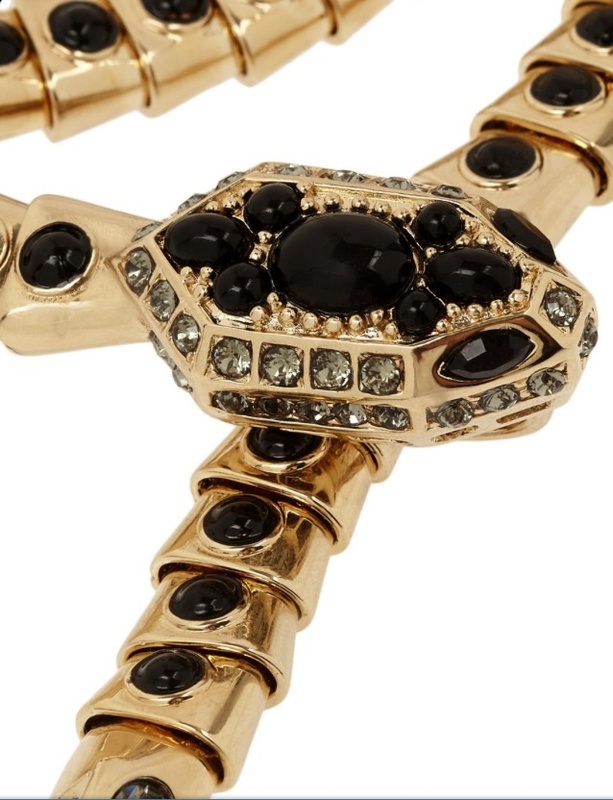 This gold-tone brass piece is embellished with black glass cabochons and sparkling Swarovski crystals and is segmented for a flexible fit. Wear yours day or night. Wow I adore this ❤ ! !